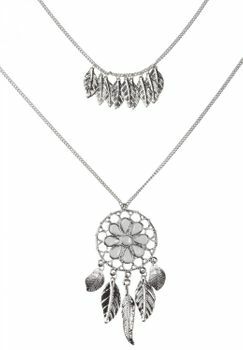 styleBREAKER's double necklace with a dreamcatcher pendant decorated with rhinestones, with feathers, a pea chain and carabiner clasp. The dreamcatcher finds it origin in Native American culture. The belief is that the dreamcatcher only allows the good dreams through the net as you sleep, with the bad dreams remaining caught in the dreamcatcher's net, before being neutralised by the sunlight the following day. 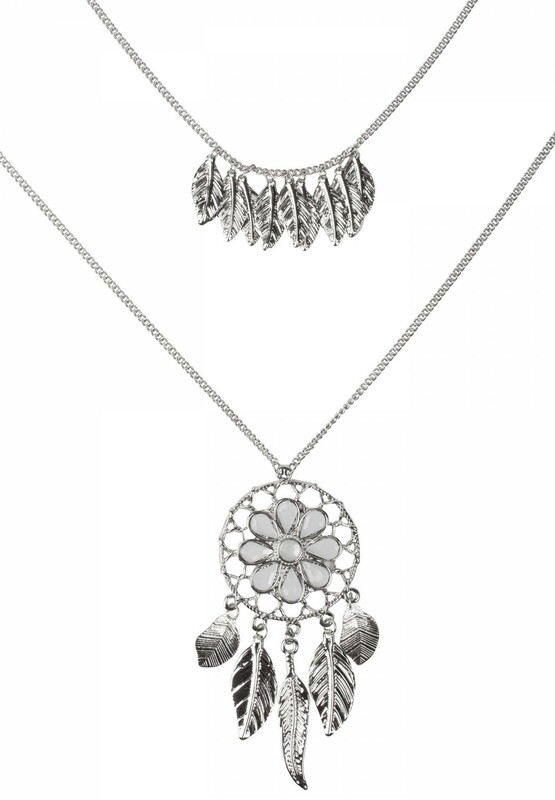 As a necklace it makes for a stylish and eye-catching feature, and with the two chains, a normal short necklace with feathers is combined with the longer chain with the dreamcatcher.